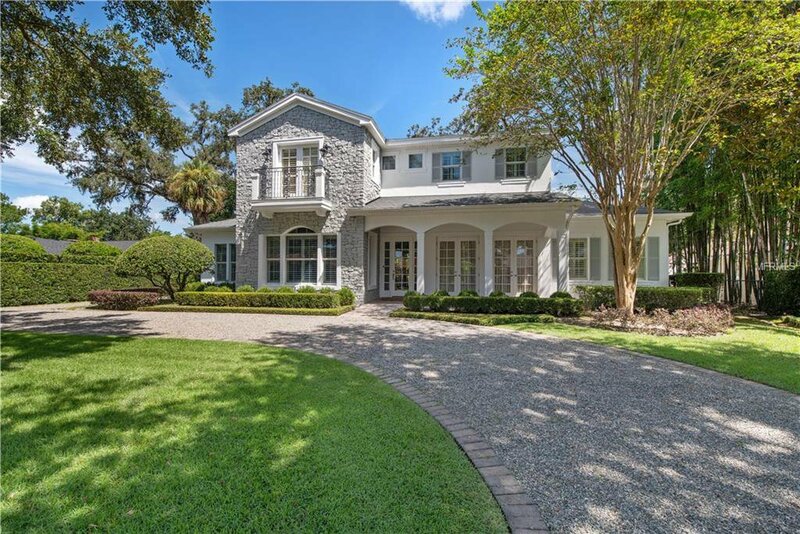 This is a wonderful opportunity to live in an elegant pool home in the heart of the Winter Park Via's, one of Winter Park's most sought-after neighborhoods nestled amongst the Winter Park Chain of Lakes. Via Contessa is an extremely well-located street with gorgeous homes all around. Built in 2004, this traditional style home has a wonderful floor plan with flexible spaces throughout. As you enter the foyer, you will find generously sized rooms to the right and the left that can be utilized for living, dining, an office, a den or whatever suits your lifestyle. Walk straight through and you enter the family room open to the kitchen and French doors that lead out to the private backyard with porch (equipped with retractable screens), pool, spa and well-manicured yard. Also, downstairs you will find a mudroom, laundry room, butler's pantry and private master retreat. Upstairs you will find three bedrooms, two full baths and bonus room. The chef's island kitchen is equipped with professional grade appliances, double ovens, granite countertops and beautiful custom cabinetry. Within the master retreat, you will find a gorgeous master bath with walk-in closet, large shower and separate spa tub. Other features of the home include 10-foot ceilings, extensive moldings and millwork throughout, gas fireplace, and timeless wood floors. The home is located within the premier Winter Park school district, is very close to the Winter Park Racquet Club and offers close proximity to the famed Park Avenue shopping district. Listing courtesy of PREMIER SOTHEBYS INTL. REALTY. Selling Office: FANNIE HILLMAN & ASSOCIATES.